For over a week, every time I open up my iTunes, I am puzzled by a song that's soaring in the charts: Pumped Up Kicks by Foster the People. It was lauded at this year's MTV Video Music Awards as one of THE SONGS of the year. People everywhere seem to be lapping it up. 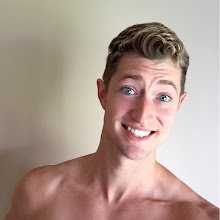 Now, while I have some pretty interesting taste in music, and while I can appreciate the addictive qualities of the chorus (don't you just want to walk around chanting "all the other kids in the pumped up kicks" in that groovy monotone of the singer? ), I cannot fathom why this is the #2 song in America. It doesn't seem like the kind of song that would have ever in a million years received mainstream attention. Rather, it sounds just like all those other groovy, uber cool indie bands that folks like me enjoy and ponder why they never hit the radio. But, now that this song has hit the radio, it just doesn't fit. The "singer" can't sing more than the 1-2 notes required to speak/sing the words. Which, by the way, are odd. One kid finds a gun in his dad's closet and proceeds to go and fire at all the kids with the pumped up kicks, who must run away from him. Not that I mind twisted lyrics, but, again, WTF?! School shooting allusion, much? According to Wikipedia - that bastion of verisimilitude - the band wanted the song to bring attention to gun violence amongst our youth and in our schools. The lyrics are supposed to be getting inside the head of a troubled, psychotic youth. I'm not sure how well it's conveying the message of bringing awareness when it's designed to be a bopping, groovy tune, perfectly suited to today's hipster generation. 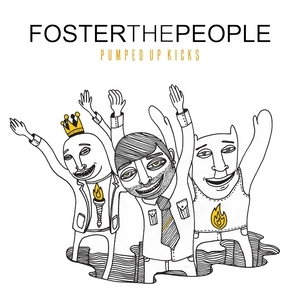 So, I ask you, what's the deal with the song 'Pumped Up Kicks' by Foster the People. What am I not getting? Yes, it's groovy, but why is it so much more popular than other, better, groovier songs? Now, if you'll excuse me, I need to go spend $1.29, because I can't get the damn thing out of my head. I have a question for you. When they say 'pumped up kicks' are they referring to those Air Jordans from back in the 90s? If so, let me just say that I've never seen a new song so outdated upon its release. I actually kind of like the song, though, it's somewhat hard to displease me with music. In my experience, when such an obviously obscure hipsterific song like this becomes wildly mainstream, it's because some teen show on the CW played it during an obligatory teenage bonfire party scene whilst vampires and werewolves decided the fate of the universe despite the fact that they are in some extremely remote backwater town - where the low population and lack of other venues for such parties forces all the local kids to have endless slow dancing bonfires in the woods to songs such as this - because, of course, all world dominating plans are hatched in small town America - which incidentally is where all the most gorgeous teenage girls and boys are who were born with a special destiny to help save the world...all to the smooth background noise of utterly hipper-than-hip hipster music that could only mean that somewhere in these towns also lies a future CW sound producer.